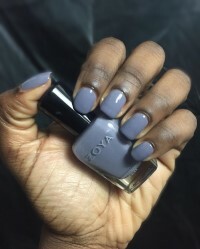 Caitlin by Zoya can be best described as a smoky purple-tinged medium gray with smooth, opaque creme finish.Sultry, mysterious and impossibly chic, a shade that will have everyone intrigued. Caitlin is such a pretty color. I see a lot more purple than grey and I love that. I used 2 coats for a flawless cover. I was so happy to find a polish with my name. When I recieved it, I was elated. I love this color so much. Truly beautiful. It`s so moody and lovely. A must have for lovers of purple, blue, or grey. Goes amazingly well with my super fair skin. One coat is plenty opaque but I use two for good measure. 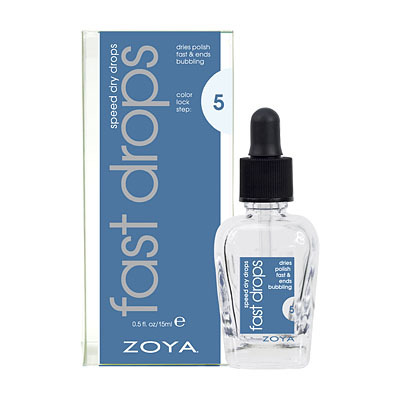 Wears great like most zoya`s. I``ve gone a week without chipping. She`s perfect! 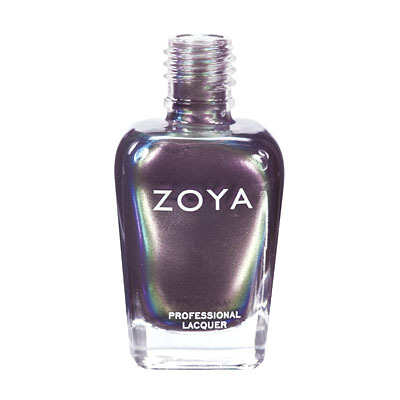 Zoya Nail Polish | CaitlinSo pretty! This is my first experience with Zoya polishes and honestly, I couldn`t be happier! A lovely smoky lavender, this is not as light as I thought it would be, and that is perfectly fine with me! Two coats were all that were necessary to get the color I wanted. 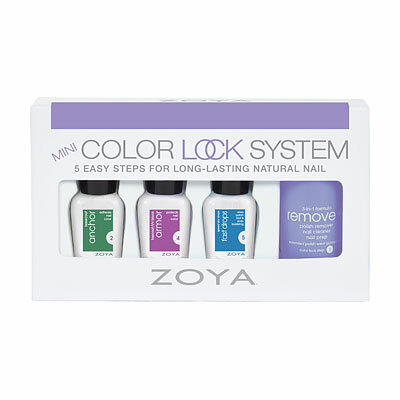 If all of Zoya`s polishes are as good as Caitlin, then I am a customer for life! I love this color. 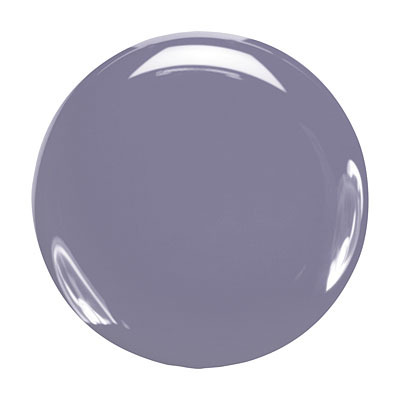 It`s a smoky periwinkle that goes on super smooth and wears well. It gives my nails just a touch of mystery without being too dark or overwhelming. A polish that can go from day to night. I got this color for free because of a promotion that Zoya was having and I absolutely love it! At first I was a little skeptical about the color and I have to admit that it`s definitely not something that I would pick out of a group to buy. But since I was getting it for free I thought, why not? 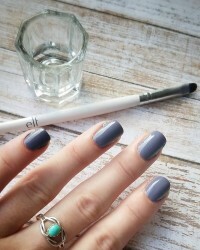 And it`s totally changed my mind about grey/purple polishes and it`s definitely one of my favorites :) I would recommend to anyone! 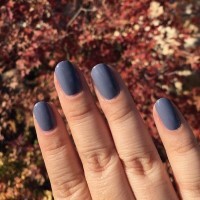 Zoya Nail Polish | CaitlinUnique! Is it gray? Is it purple? Is it blue? Yes, yes, and yes! It all depends on the light and the angle. 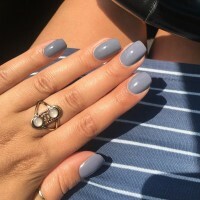 A very unique color, both trendy and sophisticated. Wears very well. Great formula. Two coats gave me great coverage, three coats makes it completely opaque. Add this to your collection! Very sophisticated and sweet. Nice, medium-light grey with blue/purple undertone. Very versatile. 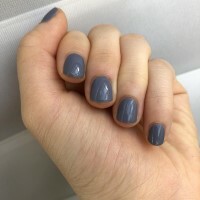 Zoya Nail Polish | CaitlinVery pretty!! I really like this color. It`s a little bit darker than what it looks like in the bottle. Very girly and pretty. I`ve heard others describe it as a mix of Kelly and Dove which is a pretty dead on description. Highly recommended!! The smokey nature of this purple is incredible. It has the ability of looking more grey or purple depending on what color it`s next too -- making this a very nice addition to anyone`s winter and spring wardrobe. This color whispers both class and elegance on your fingers and toes. Appears a little darker than what`s in the bottle but is perfect for any skin tone. Easy to nail stamp and water marble with. I simply adore this color. One of my favorites by Zoya thus far! This was part of my first Zoya purchase. The colour is very unique and pretty, but a bit more purply than the picture on my monitor. 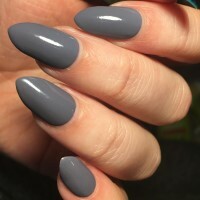 Trust that it`s a grey-purple and not a grey with purple undertones. I also found that Zoya polishes tend to dry slower than other brands.